For those of you who are unaware of our custom publishing talents, Left Coast Marketing is a full service Digital Creative Agency. We offer extensive custom publishing services to the wine, beer, spirits, beverage, and the specialty foods industry. The custom publications we create are catalogs, magazines, and “maga-logs” (a magazine / catalog combination) that feature beautiful product photography, compelling copy, and engaging graphics that showcase our clients’ products. Those wine, beer, spirits, and specialty food clients that take advantage of our custom publishing services see an incredible ROI from product sales. Some companies can expect results between 200% and even 1000% ROI when they create a catalog centered around their products. Want to learn more about your custom publishing services? We’ll show you how you can get digitally creative with Left Coast Marketing. Contact us today and let’s discuss which custom publications are more likely to boost your holiday sales.  Get Digitally Creative With Left Coast Marketing!